Wellington, FL – January 28, 2017 – Combinations intending to compete at the 2017 $100,000 Land Rover Wellington Eventing Showcase have been announced by event organizers, Equestrian Sport Productions (ESP). The highly anticipated event will take place on Friday, February 3, through Saturday, February 4, at The Equestrian Village, home of the Adequan® Global Dressage Festival at Palm Beach International Equestrian Center (PBIEC). The Equestrian Village is located at 13500 South Shore Boulevard. The competition will feature some of the world’s most talented international event riders over the course of the two-day exhibition event. The dressage phase will begin at 8:30 a.m. on Friday, February 3, while show jumping is set to start at 10:30 a.m. on February 4, ahead of cross-country, which will run in reverse order of standing at 1:00 p.m. on the derby field. 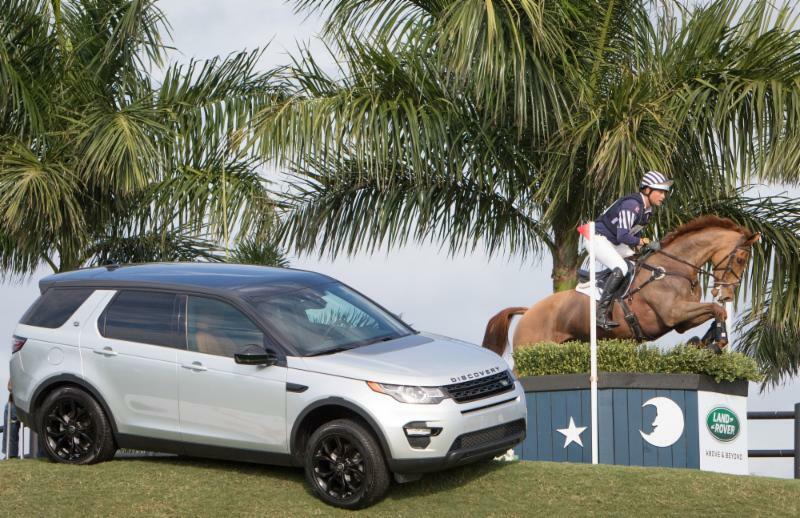 The $100,000 Land Rover Wellington Eventing Showcase will take place from February 3-4 at PBIEC. The Land Rover Wellington Eventing Showcase has increased the total purse each season, and the 2017 edition of competition will offer the most to date with $100,000 in prize money distributed to riders placing first through twelfth. Generous sponsors include: Land Rover, Rolex, Adequan®, and Ariat®. Hospitality packages for the event are currently available and can be reserved by contacting eventing@equestriansport.com. To view the hospitality packages for the 2017 $100,000 Land Rover Wellington Eventing Showcase please click here. For more information on the 2017 $100,000 Land Rover Wellington Eventing Showcase, please visit www.pbiec.com. Photo Credit ©StockImageServices. This photo may only be used once in relation to this press release. Founded in 1948, Land Rover designs, engineers, and manufactures its vehicles in the United Kingdom. For almost 70 years the brand has built a reputation for providing its clientele with some of the most luxurious and capable vehicles in the world; whether driving through the heart of the city or traversing the countryside on- and off-road. Today’s Land Rover lineup includes the Discovery (LR4) and Discovery Sport; Range Rover, Range Rover Sport and Range Rover Evoque. Land Rover is fully engaged with sustainability initiatives and social concerns with continuous involvement in environmental and community programs. For more information, visit the official Land Rover website at www.landroverusa.com.